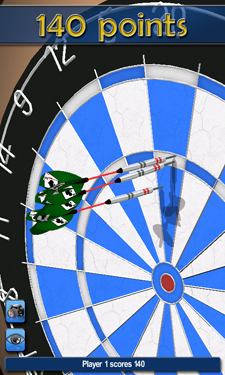 Pro Darts started out as a small project, but rapidly snowballed as we got more and more into it. 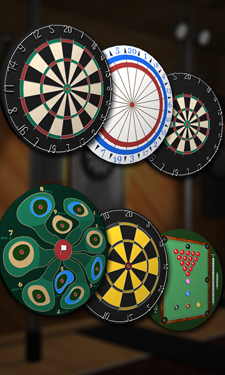 It has eleven different dart boards, each with multiple colour variations. 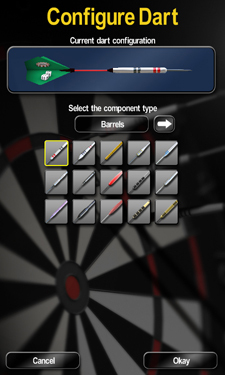 Six game styles including Golf darts and Snooker darts. 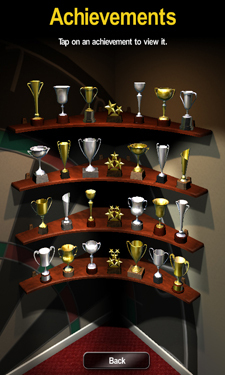 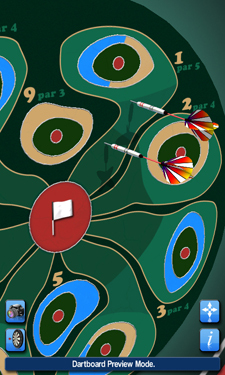 Eight environments and four game modes including League and Tournament play. 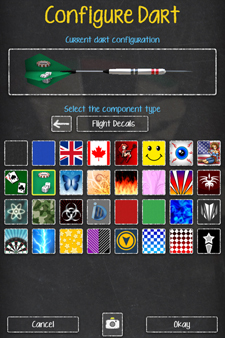 And a very cool dart configurator where you can choose from fifteen different barrels, fifteen different stems, over thirty stem colours, ten flight shapes and twenty flight textures. 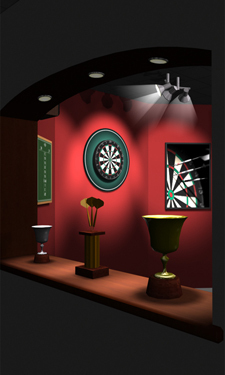 I produced the 3D and 2D artwork for this project. 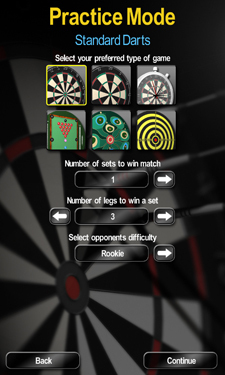 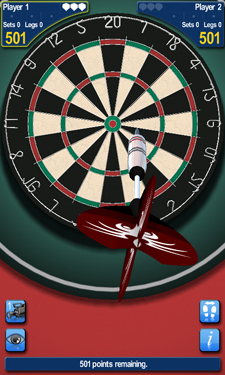 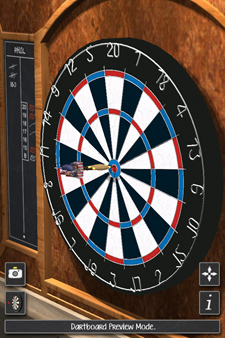 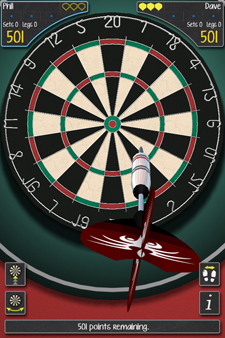 In late 2017 Pro Darts got updated menu graphics to satisfy a concern from Apple. 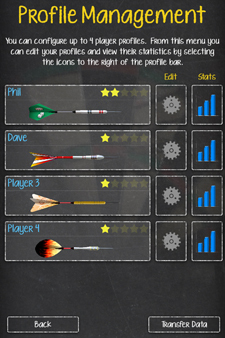 You can see the new menu style below.